Long Runtime - Enough battery power for the whole house. 30min single battery. Quick Charge - Recharge in 3.5hrs. Enough battery power for the whole house. 30min Single Battery. Switch up to Hi mode for the more demanding clean ups. Enough battery power for the whole house. 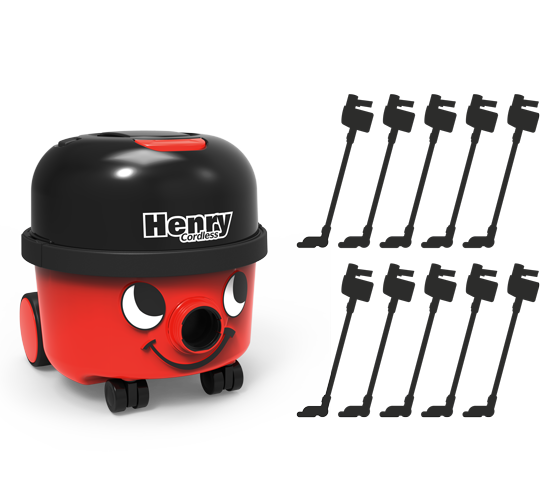 With a 30 minute runtime, Henry’s ready for the house clean and more. The advantage of a cordless cylinder means the weight is where it should be… on the floor. Recharged and ready to go in 3.5 hours. 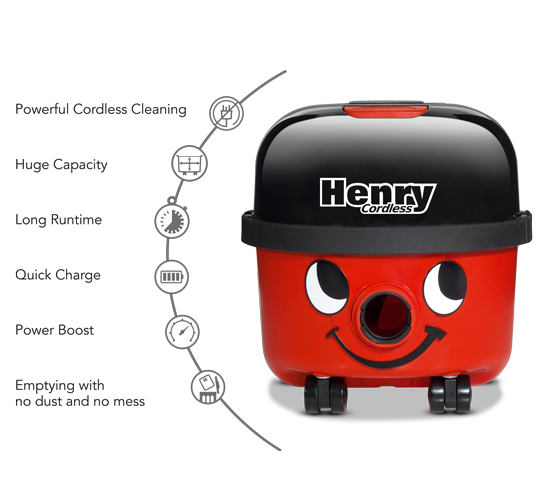 Henry’s charging station allows charging where it’s convenient. 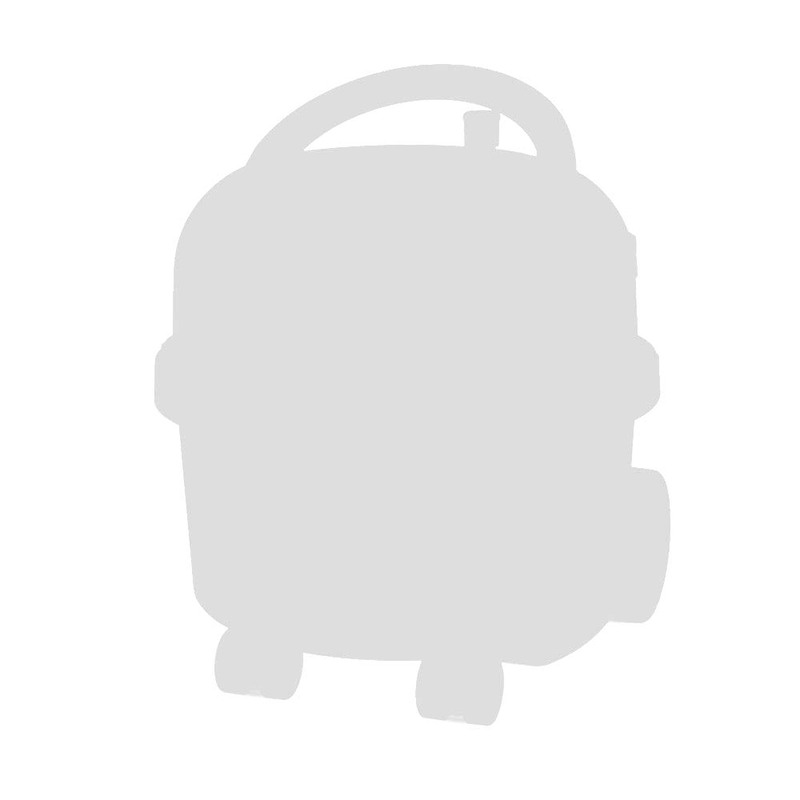 He’s always ready to go, supplied with a 36 Volt battery pack. No plugging or unplugging saves time and makes those quick and unexpected clean-ups so much easier.